Be forewarned‒what follows may chill you to the core, fill you with dread, and leave you clutching the nearest harmonized tariff schedule for comfort. These are the tales of the darkest of dreams, the most wretched of realities. 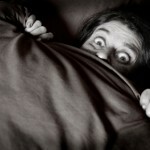 These are truly terrifying trade compliance nightmares‒and remember‒they could happen to you. Follow the links to find out how to avoid any one of these frightening fates. Losing your export privileges after an unfavorable end-use check. Losing a customer on an Ex Works shipment because you damaged the freight during loading. Having U.S. Customs pull your cargo for an intensive or stratified compliance exam. Being investigated by the Department of Justice for violations of the Foreign Corrupt Practices Act. Being sued by a multimillion dollar company because smugglers stole your corporate identity and used it to import counterfeit goods under your name. Paying a $5000 penalty on a DDP shipment because your Import Security Filing was late or incorrect. Paying thousands in penalties for exporting without a proper license. Receiving your shipment late because of the Asia Gypsy Moth. Revealing your product sourcing information to competitors by neglecting to file a Vessel Manifest Confidentiality Request/Renewal with Customs.